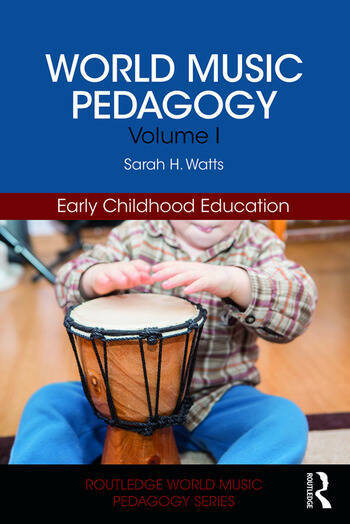 World Music Pedagogy, Volume I: Early Childhood Education is a resource for music educators to explore the intersection of early childhood music pedagogy and music in cultural contexts across the world. Focusing on the musical lives of children in preschool, kindergarten, and grade 1 (ages birth to 7 years), this volume provides an overview of age-appropriate world music teaching and learning encounters that include informal versus formal teaching approaches and a selection of musical learning aids and materials. It implements multimodal approaches encompassing singing, listening, movement, storytelling, and instrumental performance. As young children are enculturated into their first family and neighborhood environments, they can also grow into ever-widening concentric circles of cultural communities through child-centered encounters in music and the related arts, which can serve as a vehicle for children to know themselves and others more deeply. Centered around playful engagement and principles of informal instruction, the chapters reveal techniques and strategies for developing a child’s musical and cultural knowledge and skills, with attention to music’s place in the development of young children. This volume explores children’s perspectives and capacities through meaningful (and fun!) engagement with music. Sarah H. Watts is Assistant Professor in Music Education in the School of Music at The Pennsylvania State University.